Elaine Hancock (Olney, United States) on 10 March 2019 in Cityscape & Urban. 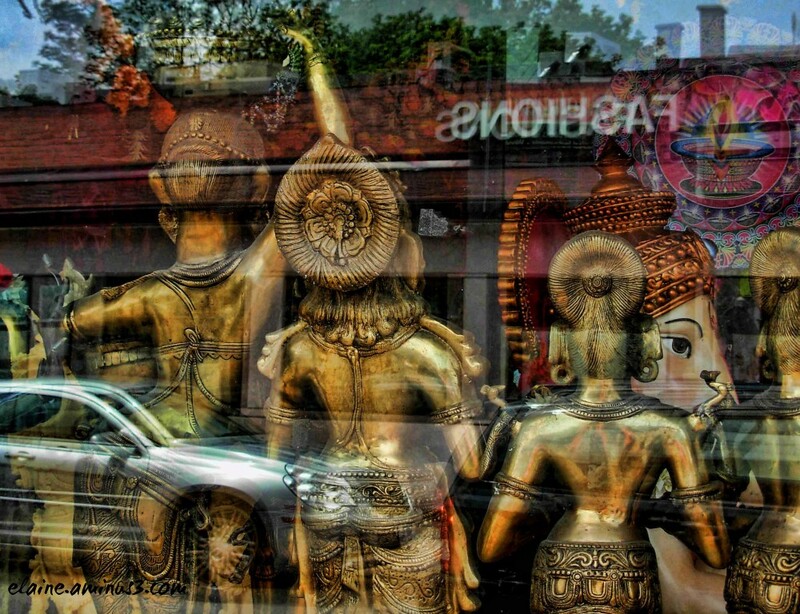 Looks like statues of ancient Indian/ Thailand Royal Queens..Nice image taken through the glass I think from the road !!! Très sympa cette composition en reflets mêlant différents sujets. Good with the reflect of the modern life. comme au carnaval ! belle ambiance ! Amicalement. Very good and creative shot. SUperb use of reality and reflection. Like a dream. Nice brass fashions and superb reflections. An interesting and beautiful image. Interesting composition and photo through combination of the store display and reflections in the glass. Very creative image with so much to see. A lovely and colorful reflection image! !